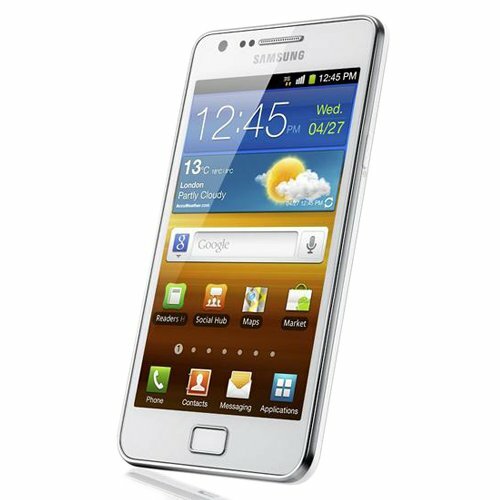 Released in 2012, Former Flagship Phone of Samsung released in April 2011. Powered by a Qualcomm Dual Core Processor, it will offer average levels of performances that it will run almost everything but demanding applications may not run. Incredibly thin and light weight but disturbed by a plastic finish. The phone is pretty comfortable to hold and use with one hand but as always, it lacks the premium feel of a flagship phone. It offers a mediocre 800x600 resolution which might look better because of the excellent arrangement of sub pixels but still it lacks eye candy offered by today's smartphones. Keep note, this Phone does not support 4G/LTE etc. 8 megapixel rear camera will allow you to take pretty high quality photos but it will be less detailed and losing some features due to it being quite old. 18 hours talk time is quite sufficient for everyday use. Overall, the phone should last pretty long on a single charge. This phone used to retail in a reasonable price around $600-$699. S2 was the flagship phone of Samsung, Reviews were mostly positive and offered quite great experience. It is still quite good but now it is among the bottom half of the smartphone world, its hardware is ageing and most importantly software which though has to be manually updated. If you prefer, "Old is Gold" then this phone is pretty good choice for you, it is a pretty good companion, able to do almost everything an average smartphone user would want to do on a normal day.